Trying to locate this solenoid from the attached diagram. As you can see, not very specific as to the location. Does anyone have a realistic diagram or photo for the location of the EVAP canister purge solenoid? Please help! I was able to find a picture online which I feel will help. It is located on the passenger side of the engine. Nine times out of ten the issue with the evaporator system is either the vacuum line attached to the solenoid is disintegrated and/or the sensor mounted next to it is faulty. Glad it helped. Let us know if you have other questions. Well, it looked like it should be by the canister, but on my truck I pulled the canister and no solenoid : ( (Guess I should have looked before replying). Fuel vapors trapped in the sealed fuel tank are vented through the orificed vapor valve assembly in the top of the tank. The vapors leave the valve assembly through a single vapor line and continue to the carbon canister (located in the engine compartment or along the frame rail) for storage until they are purged to the engine for burning. Purging the carbon canister removes the fuel vapor stored in the carbon canister. With an EEC controlled EVAP system, the flow of vapors from the canister to the engine is controlled by a EVAP Canister Purge solenoid (Figure 1) or Dual EVAP Canister Purge solenoids (Figure 2). Purging occurs when the engine is at operating temperature and off idle. Purging the carbon canister removes the fuel vapor stored in the carbon canister. With a purge port system, the vapors flow from the carbon canister to the throttle body. With an EEC controlled EVAP system, the flow of vapors from the canister to the engine is controlled by a EVAP Canister Purge solenoid or vacuum controlled purge valve. 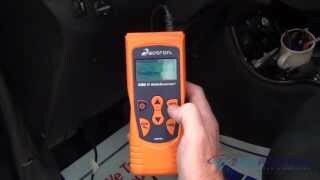 Purging occurs when the engine is at operating temperature and off idle. Note: Figure 3 does not indicate where the EVAP Canister Purge solenoid is located. Welcome back. It has been awhile for a 1996, but if where I told you was incorrect, check near the master cylinder (mounted on firewall if I remember correctly) to the left of the brake booster. Do that and let me know if it is there. I attached a picture of the component you are looking for. And now that you reminded me, yes, there were different designs. I do know where that is, on the left (passenger-side) firewall as shown in the photos. What is the automotive term for this part? That is an EVAP control solenoid. Where Do I Find The Purge Valve On A 5.0 Engine?